Brexit: Can the U.K. tech boom survive the EU referendum? Could the U.K. tech boom survive Brexit? Tech companies love disruptive innovation. The European Union loves regulating them. Just ask Apple or Google. So you might think that the U.K.'s thriving startup scene would be lobbying hard for a vote to leave the EU in Thursday's referendum. The opposite is the case. British tech hates the idea of Brexit. "People are extremely concerned," said Eileen Burbidge, who has invested in dozens of U.K. businesses through her venture capital firm, Passion Capital. "They're mortified at the prospect [of Brexit]." London is the startup capital of Europe. A new survey by investment bank GP Bullhound shows 18 "unicorns" were founded in the U.K., including popular firms like music service Shazam and food delivery service, Deliveroo. Britain's membership in the EU gives its tech businesses unfettered access to about 500 million customers across the continent, while allowing for the visa-free movement of European tech workers. Industry experts say leaving the EU would cut off access to highly qualified European tech workers and exacerbate a skills shortage in the industry. 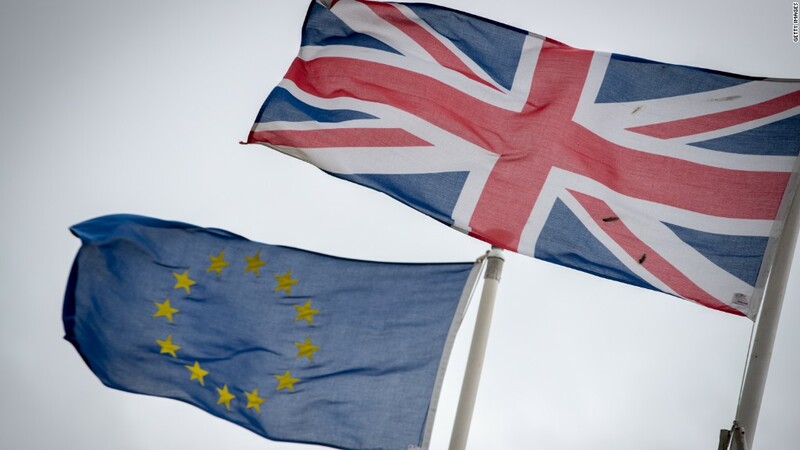 Nearly 80% of tech workers believe Brexit would make it more difficult to address the current skills gap, according to a survey released this month by tech lobby group, Tech London Advocates. The latest figures show that just over 1.5 million people work in digital-related jobs in the U.K. and the industry is growing about three times faster than the rest of the economy. About one in three workers in U.K. startups come from outside the U.K., and most of these international workers are from the EU, according to research published last year by the start-up accelerator, Wayra. "The EU is a very good tech talent pipeline," said Russ Shaw, founder of Tech London Advocates. "[EU workers make up] a big chunk of the community." Of course, those workers would most likely be near the front of the line for U.K. visas in the event of a Brexit, but the paperwork and legal fees could mean unacceptable delays and costs for small firms trying to hire them. There are benefits and drawbacks to being part of the EU: The bloc draws up regulations that apply across all 28 member states. Some believe this creates extra red tape and restrictions; others say it helps their business by creating a level playing field in the vast multi-nation market. "If we come out of the EU, we really come out of this market of 500 million [customers]," said Shaw. EU regulations also make it easier to expand a technology business across the continent. James Layfield, who runs a flexible office space business in London, said he's preparing to open new offices in Berlin and Paris. The process has been "relatively easy" because of harmonized EU regulations, he said. "It's going to be harder for us to do that if we have to go through a whole different set of regulations," he warned. Investments and deals in the industry have been put on hold in the lead up to the referendum as investors worry that Brexit could damage business operations and growth plans. "We've seen investors pausing because of the uncertainty," said London-based venture capitalist, Burbidge. Layfield said a number of firms that operate in his London offices have had to sign deals with Brexit clauses. For example, investors in one startup will only hand over new financing they have pledged if there's a vote to remain in the EU. "It just shows you how potent this [threat] is," he said. A vote to remain, on the contrary, could release a wave of new tech deals. "I think we're going to see a dramatic rebound in the level of investment that goes behind digital startups and [small businesses]," said Shaw from Tech London Advocates. Correction: An earlier version of this article mistakenly said 18 "unicorns" were based in the U.K, rather than founded in the U.K. Investment bank GP Bullhound has since clarified its research.